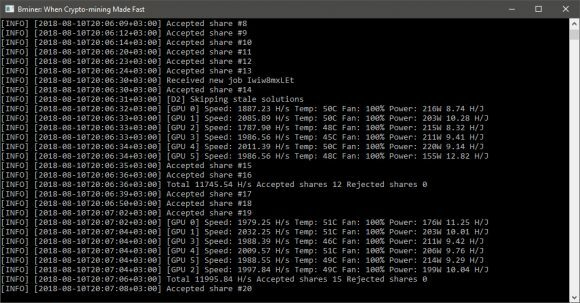 It seems now that the fastest Bytom (BTM) mining performance is once again being offered by the latest Bminer 10.0.0, beating what the latest NebuTech BTMiner 7.0 is delivering at the moment. The latest version of Bminer brings substantial increase in BTM mining hashrate of up to 30% over what the previous Bminer 9.1.0 was able to deliver, thus beating the competition with at least 10% on GTX 1080 Ti (percentage can vary depending on your hashrate). Unfortunately it seems that the new version also supports only pools with direct wallet addresses as worker IDs, it does not seem to work with pools that rely on worker usernames and that actually limits the usability of the miner even if it is the fastest performing one you cannot use it on all mining pools. 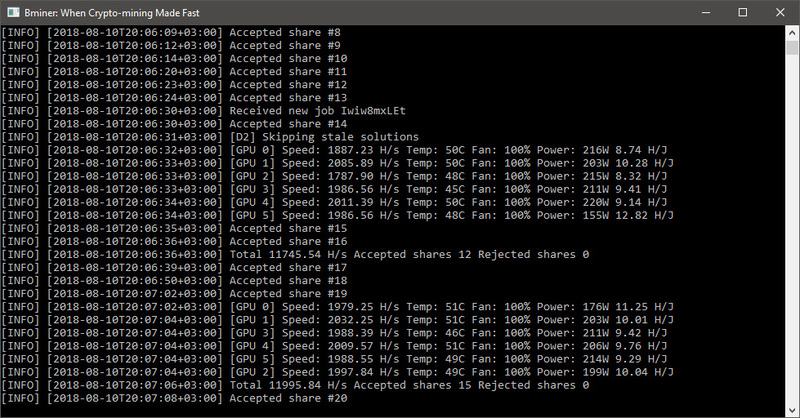 The new Bminer also introduces support for mining Zhash (Equihash with parameter set 144,5) based coins and that also makes it more attractive to wider audience of miners that are switching to algorithms not being supported by ASIC miners. An example of popular crypto coin that uses this particular variation of Equihash is Bitcoin Gold (BTG), though there are others as well. The other let us say minor update is the addition for support fore reported hashrate feature on ETH pools. Do not forget that Bminer is a closed source Nvidia GPU miner available for Linux and Windows in the form of pre-compiled binaries and that there is a 2% development fee for Bytom (BTM), Equihash and Zhash coins, 0.65% for Ethash and 1.3% for dual mining Ethash and Blake.